How the Ranger probes’ moon crashes helped pave the way for Apollo. Today it’s easy to find a complete map of the moon, from highlands to craters. But in the early 1960s, little was known about the terrain of Earth’s nearest neighbor. It fell to the Ranger probes to find out by transmitting closeup black-and-white photographs—in real time—on a death dive into the lunar surface (see Jet Propulsion Laboratory in California some idea of where to send the Apollo landers a few years later. But getting the pictures would prove difficult. Ranger was a product of the space race, which had been kicked off in October 1957 by the Soviet launch of the Sputnik satellite. Like many of NASA’s early programs, Ranger had its share of failures. Of the nine Rangers, only the last three succeeded. 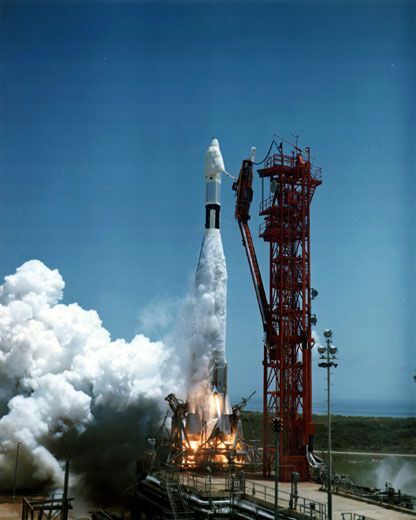 When Rangers 1 and 2 were launched in 1961, the Atlas-Agena rockets failed, leaving them in an unstable, short-lived orbit of Earth. 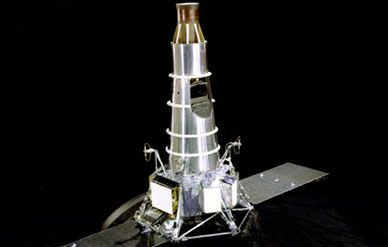 Rangers 3 and 5, launched the following year, missed the moon altogether, while Ranger 4 had a computer failure and was unable to transmit data before crashing on the back side of the moon. 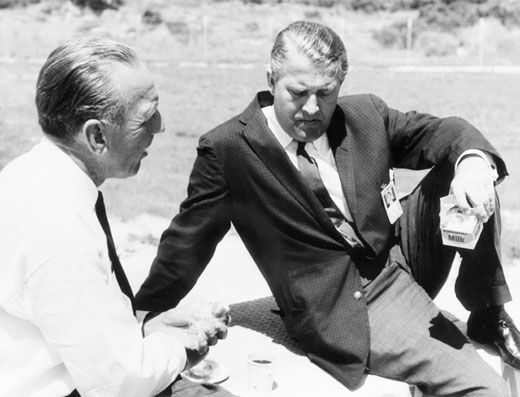 By the time Ranger 6 went up, in January 1964, NASA was getting desperate. The Soviet Union had already obtained photographs of the moon’s surface, from Luna 3 in 1959, and by the 1960s was designing Luna probes to make “soft landings” there. NASA’s attempts to reach the moon—with its Pioneer probes in 1958-59—had all met with failure. Unhappily, Ranger 6 joined the list. 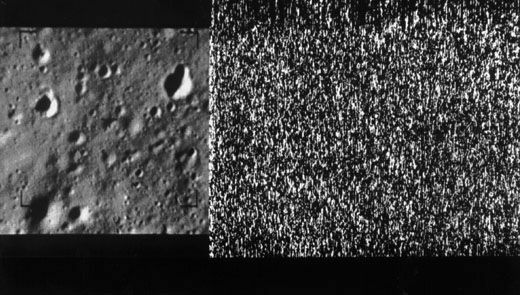 Its cameras failed before the probe crashed in the area of the Sea of Tranquillity (where the first manned moon lander, Apollo 11, would touch down five years later). Americans were stunned, and a Congressional investigation soon followed. 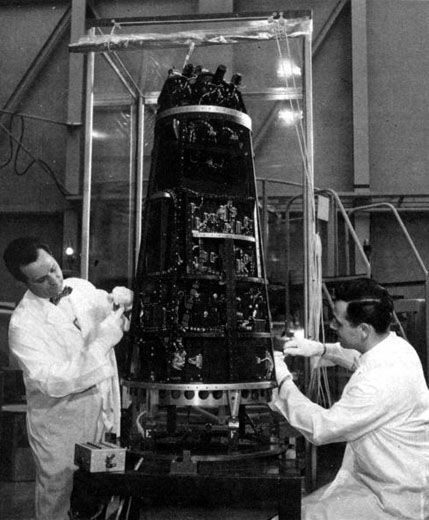 Ranger 8, which was launched in February 1965, added to the scientific bonanza, transmitting thousands more high-quality images before crashing into the Sea of Tranquillity. The next month, Ranger 9 went up on a mission to crash into the crater Alphonsus. The probe sent back more than 5,800 video images during the last 18 minutes of its three-day journey, thrilling a nationwide TV audience that watched the live feed [click here to see video]. It was the grand finale to the Ranger program, which had cost $267 million and blazed the trail for NASA’s Lunar Orbiters (1966-67) and Surveyor landers (1966-68). 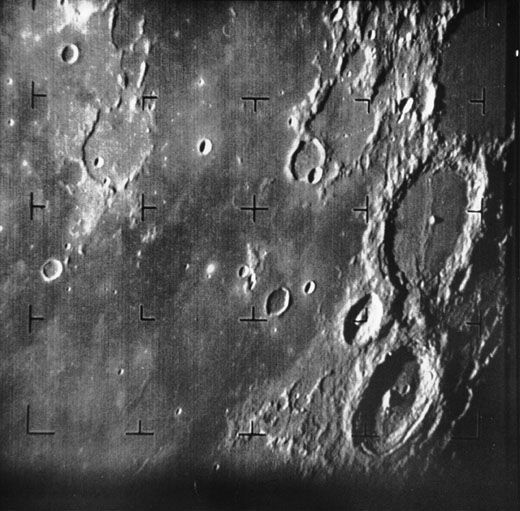 Although the Ranger images resolved features as small as 10 inches across (a resolution 1,000 times better than the best telescopes on Earth could do), they provided no definitive conclusions about the formation, structure, or properties of the lunar surface.